This post was brought to you in partnership with Woodbridge Wine and Jacobsen Salts, as usual, all opinions are my own. Football has begun and it is time to create some fun and easy tailgating snacks, games and cocktails. 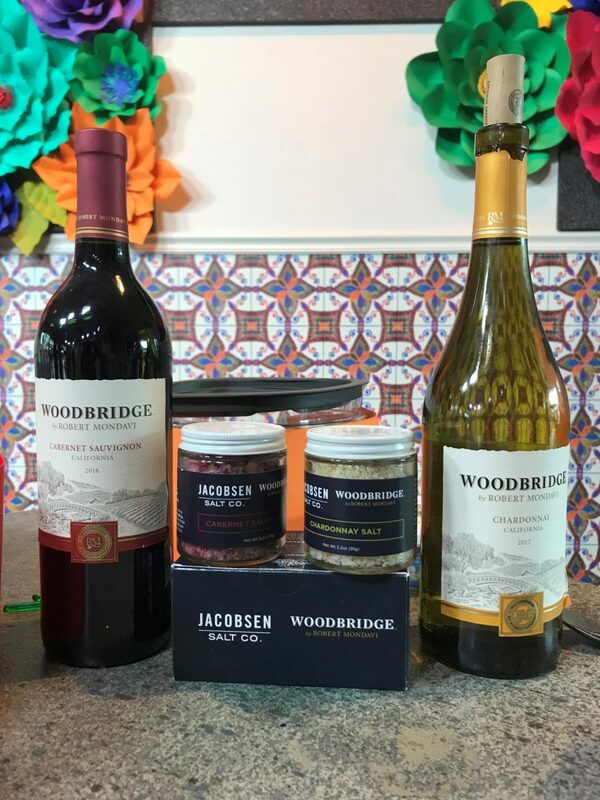 I teamed up with Woodbridge Wines and Jacobsen Salt Co, who also teamed up with Woodbridge Wines to create this yummy Mexican Street Corn Salad. 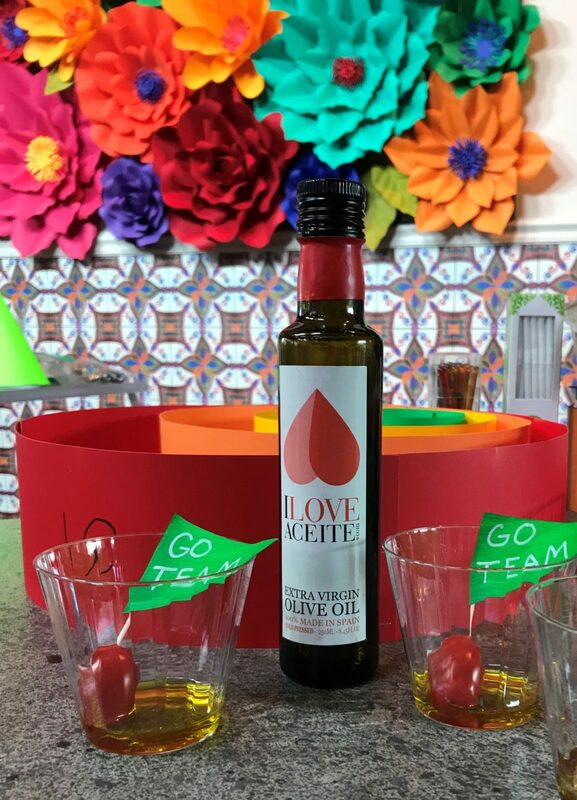 I also partnered with I Love Aciete Olive Oil for both the corn salad and the individual salad snacks. This recipe was created by Alex Guarnaschelli, and is amazing. I did change a few things for time and my taste. I use crumbled goat cheese, (not a fan of feta) and if you don’t have the time, or it’s not in season, I used a really good can of corn, and followed the corn and chardonnay salt cooking instructions. Cook and clean the corn: Bring 4 quarts of water to a rolling boil and add the sugar and 2 tablespoons of Jacobsen Salt Co. & Woodbridge by Robert Mondavi Chardonnay Salt. Hold each ear of corn upright with one end on the cutting board and the other in your non-cutting hand. Use a sharp chef’s knife to shave off the kernels in rows from the cob. Cut close to the core so that the kernels remain relatively whole but not so close that you end up taking fibrous pieces of the cob with you. Repeat with all of the corn. The Story Behind Jacobsen Salt Co. and Woodbridge Wines. Be sure to visit the recipe section of their website, that’s where I found this amazing Mexican Street Corn Salad. Sip your wine and serve it too! Elevate your favorite recipes with Jacobsen Salt Co.’s newest, limited edition salt set infused with Woodbridge by Robert Mondavi’s classic Cabernet Sauvignon and Chardonnay varietals. This salt set is guaranteed to take your summer meals to the next level and makes for an excellent housewarming gift. Creating decorations for your tailgating party doesn’t have to break the bank. You probably have most of the items needed hanging around your house already. 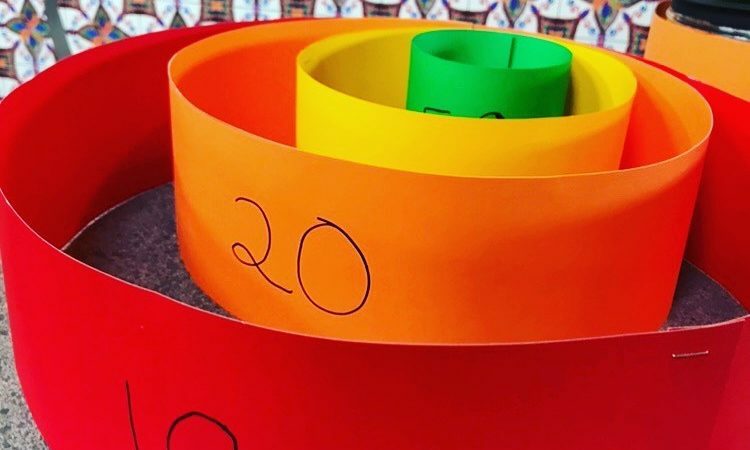 From Ball jars to hold your silverware and napkins to cute game flags for your toothpicks, these are fun and easy DIY projects that even the kids can help you create. Paint one jar with the green paint. Paint another jar with the white paint, and the 3rd jar with the brown paint. Let them all dry for 20 minutes and paint another layer onto each jar. Let the jars dry for 20-30 minutes. Draw white lines, using the Deco Art Paint pens, on the brown jar to look like a football. Paint Black stripes, using the black acrylic paint, on the white jar, along with 3 black dots to look like a referee shirt. Draw white lines with numbers, using the Deco Art paint markers, on the green jar to look like a football field. 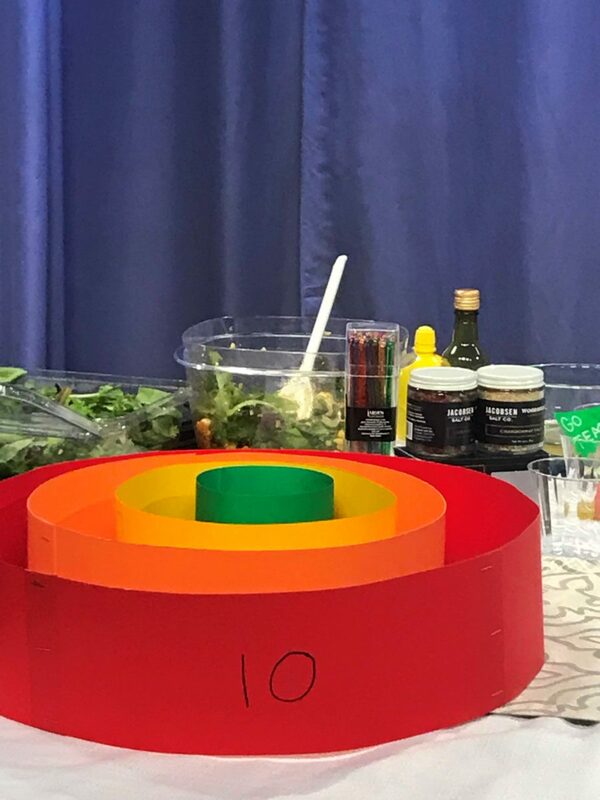 Fill the referee jar with the yellow napkins (penalty flags). 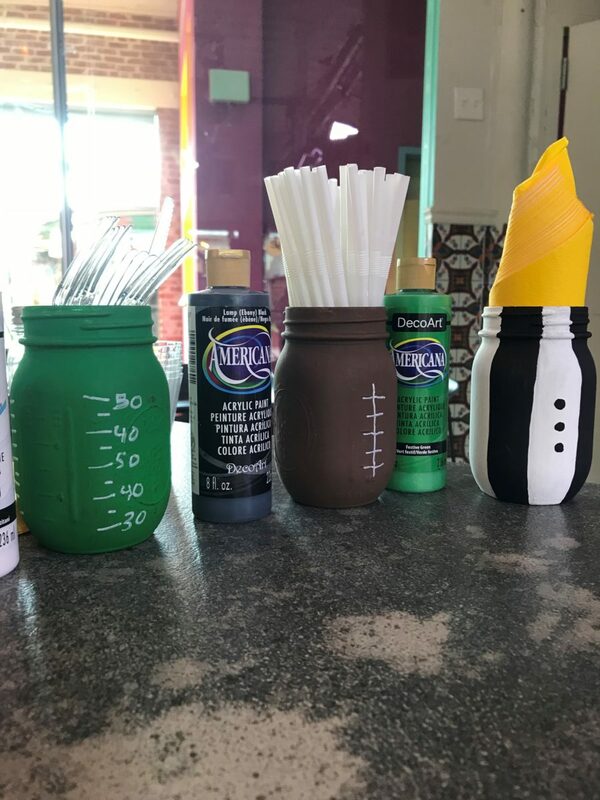 Fill the football jar with straws, and the football field jar with silverware. I Love Aciete is an very yummy Olive Oil from Spain and is the perfect addition to any tailgating party. Add your favorite vegetables to a plastic cup and poor I Love Aciete Olive Oil over the veges. Place a cute decorated toothpick into one of the vegetables to use as a utensil.